As the dark nights draw in and there’s a chill in the air, there’s nothing we love more than snuggling up with a heart-warming story. 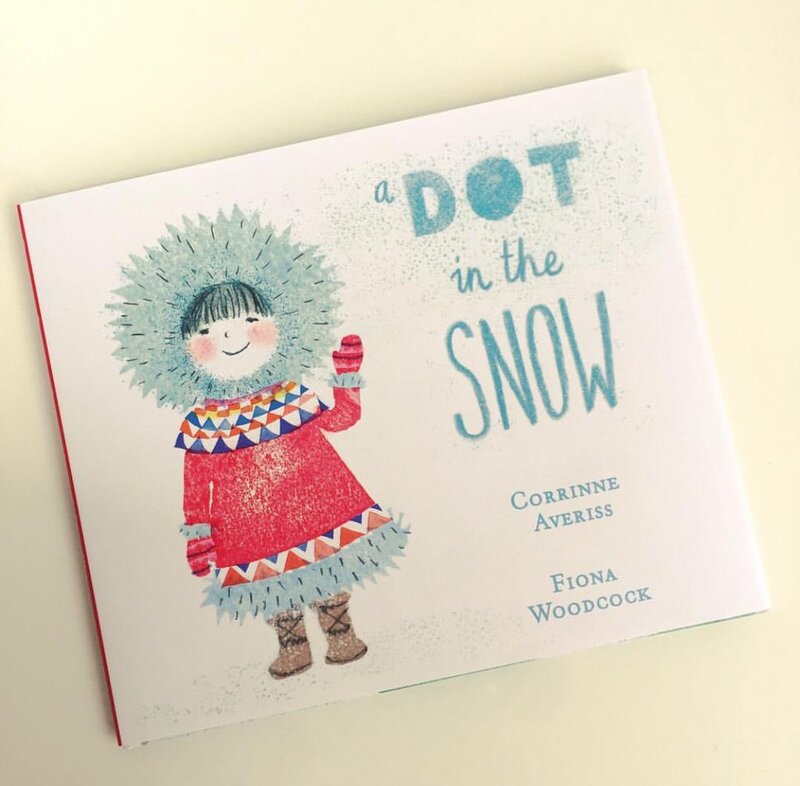 ‘A Dot In The Snow‘ by Corrinne Averiss & Fiona Woodcock fits the bill perfectly. 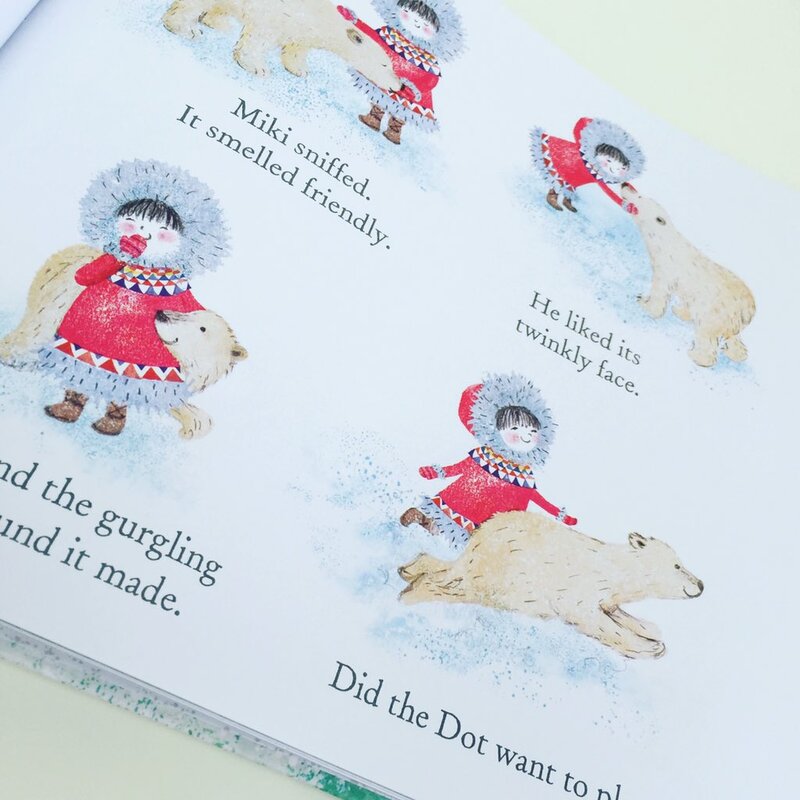 As the Dot gets nearer and grows ever bigger, Miki soon realises that the Dot is friendly and wants to play. They play together and learn together. Miki learns what makes the Dot happy and also what makes her sad. 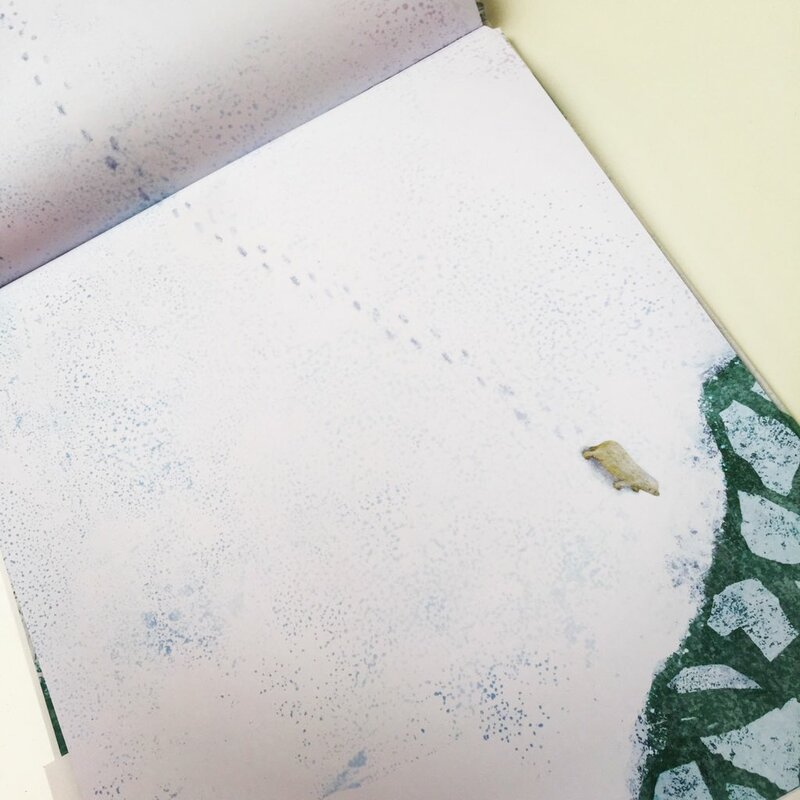 Fiona Woodcock‘s beautifully textured spreads are awash with emotion and provide the perfect marriage to Corrinne Averiss‘s gentle narrative. 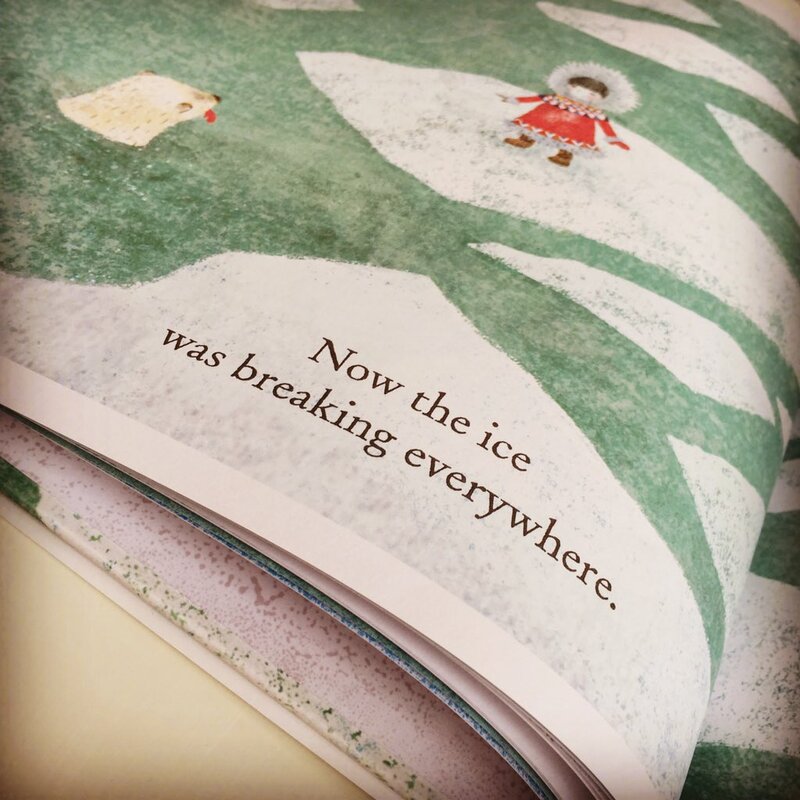 But what will happen to Miki when the Dot returns home to her mother and Miki is left alone in the icy plains? An uplifting story of friendship, bravery, separation and the utmost determination, one that readers everywhere will delight in.